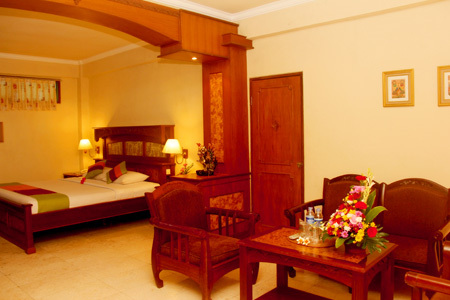 Room size 36 square meter include terrace, bed room and sitting room and bath room. Each room has a spacious bath room contains separate bath and shower, hot and cold water, tea / coffee making facilities include tea, coffee and sugar, mineral water, refrigerator, satellite TV, IDD telephone, hair dryer. 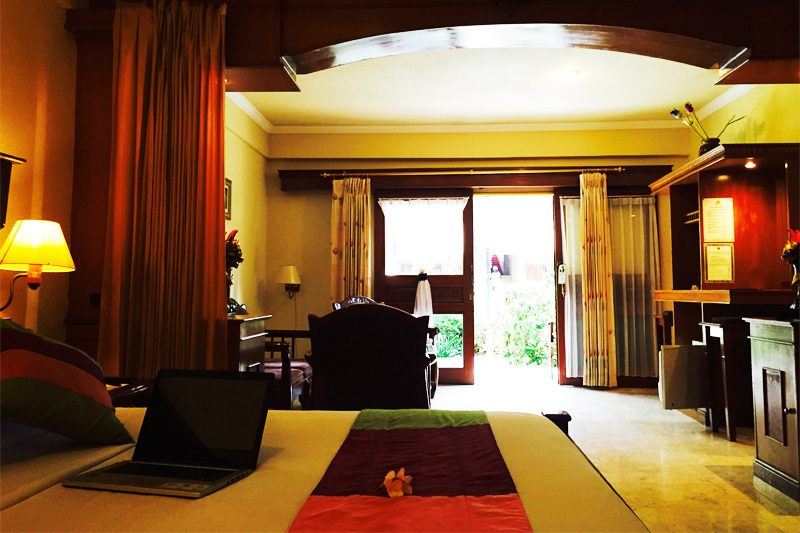 Rooms are located adjacent to foyer with king bed or 2 single beds and pool or garden view, cater for 2 adults with up to 2 children (the extra charge will be added for the extra bed including breakfast).